Community Development Block Grant Consultant Mark Kibby (left) explains to the City Council at its Nov. 1 meeting that 2016 Program Year funds not spent by Dec. 31 are forfeited, which motivated the council to transfer $45,000 in unspent funds from Community Code Enforcement to Public Facilities Improvement. MELVINDALE – The City Council approved transferring unused Community Development Block Grant funds budgeted for code enforcement to public facilities improvement for artificial turf for Kessey Fieldhouse at its Nov. 1 meeting. CDBG, a program of the U.S. Department of Housing and Urban Development, helps fund affordable housing, anti-poverty programs and infrastructure development. The city, which has changed the former ice arenas into indoor sports fields as a cost savings measure, has discovered a strong demand for indoor facilities for year-round soccer and baseball, which is where the artificial turf is needed. CDBG consultant Mark Kibby said 2016 Program Year funds must be used or they revert back to the county for re-disbursement to other projects. Kibby said Dec. 31 is the date by which the 2016 Program Year funds must be used, and they thought they could ask the county for a time extension for the original intended use, code enforcement, but the county is holding firm on the time frame for any fund expenditure. 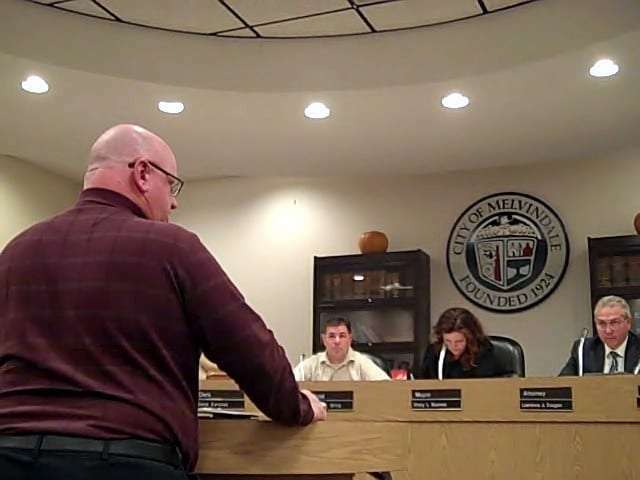 Kibby said Melvindale does not want to forfeit the grant money by not using it, so by transferring $45,000 in 2016 funds from community code enforcement to public facilities improvement for parks and recreational facilities, the city should be able to get the indoor turf for the playing surface without having to use any city money. He said the turf must be purchased and installed before Dec. 31 to be eligible for the 2016 funds. In the 2017 Program Year, Kibby said public facilities CDBG grant money has been earmarked for Americans with Disabilities Act projects, including a wheelchair lift for the city swimming pool, and for senior services. A public hearing, which was publicized in local media and held during the Nov. 1 council meeting, did not generate any comments from area residents.